Dr. Eric Zeglen has been named as the next Vice President for Academic Affairs (VPAA) of Central Penn College. “I look forward to joining Central Penn as VPAA and building on the college’s tradition of career-focused education and academic success,” said Zeglen, who will assume his new position on Monday, Oct. 29. He succeeds Dr. Linda Fedrizzi-Williams, who served as VPAA for two years, before becoming the college’s president in June. Zeglen comes to Central Penn with more than 26 years of higher education experience. His most recent position was the executive director of academic programs and assessment at the Pennsylvania State System of Higher Education (PASSHE), where––working with all of the provosts in the university system––he provided strategic leadership in the areas of student success, academic assessment, program development, and policy and procedures. 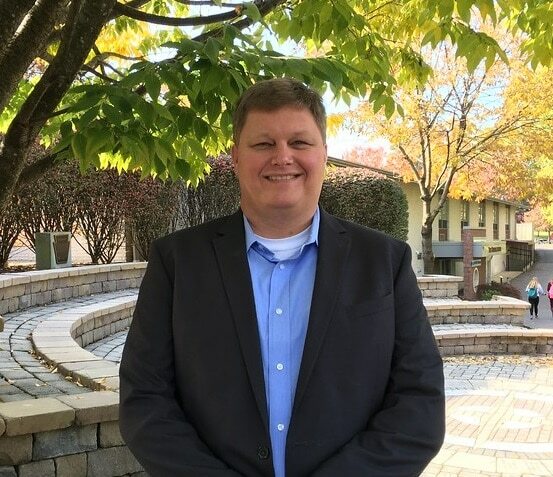 Concurrently with his role at PASSHE, Zeglen also served as assistant to the provost at Bloomsburg University where he was specifically brought in to assist the provost, deans, and faculty with student success and enrollment initiatives. Prior to joining the PASSHE system office, he worked at Indiana University of Pennsylvania as the library information systems manager. Since 2017, he has been an adjunct faculty member at Central Penn College. Zeglen holds a PhD in Communications Media and Instructional Technology from Indiana University of Pennsylvania, an MBA from University of Phoenix, and a Bachelor of Science in Computer Science from Indiana University of Pennsylvania. “I am confident that Eric’s knowledge of program development and review, academic assessment, and the workforce needs of the south-central Pennsylvania region will open additional opportunities for Central Penn College students and our community,” said President Fedrizzi-Williams. Central Penn College provides students with the educational foundation to turn potential into professional success. Since 1881, the college has been a leading source for delivering career-focused education to students in Pennsylvania and beyond. With locations in Summerdale and Lancaster, Central Penn College offers associate, bachelor’s and master’s degrees and certificate programs in a variety of professional fields. * For more information, visit www.centralpenn.edu.